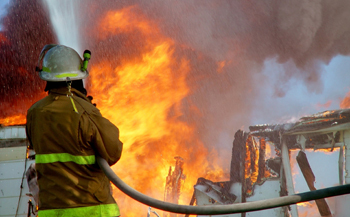 After an unexpected fire causes damage to your property and personal contents, our goal is to restore everything to its original condition as quickly and efficiently as possible. Our experts are trained to use the best products and procedures from the time of the initial response and board-up process, to the final construction and carpentry details of Fire Damage Restoration. We carefully inspect the damage and assess the best repair plan for your individual situation. We will respond to all fire and smoke damage in Idaho Falls and the surrounding Southeast Idaho area. And we strive to fully cooperate with your insurance company, but also aim to keep you informed of the happenings in your home or business.